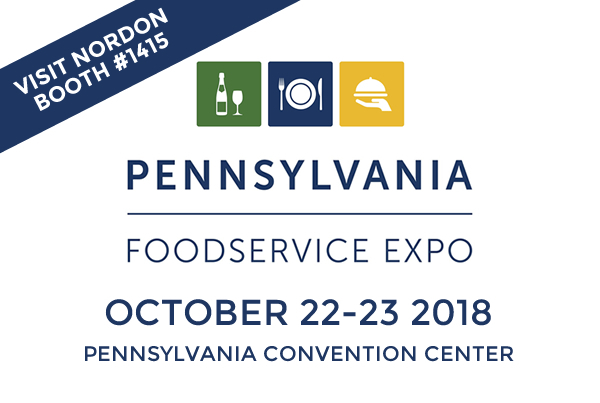 Nordon will be exhibiting at the Pennsylvania Foodservice Expo October 21-23, 2018 where we’ll feature a variety of kitchen equipment! Please stop by booth #1415 and say hi! 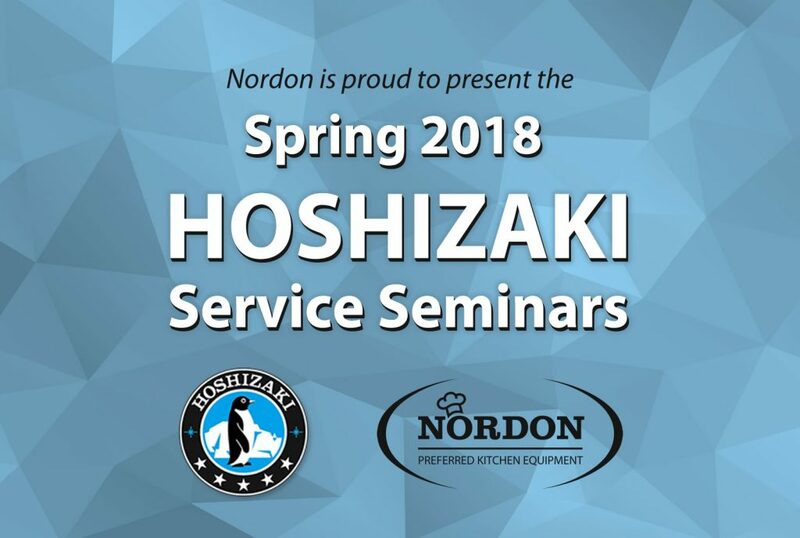 We’re looking forward to a great foodservice show in Philly! You’re invited to celebrate OktoberFest with Nordon featuring Univex, Eloma and Winston! 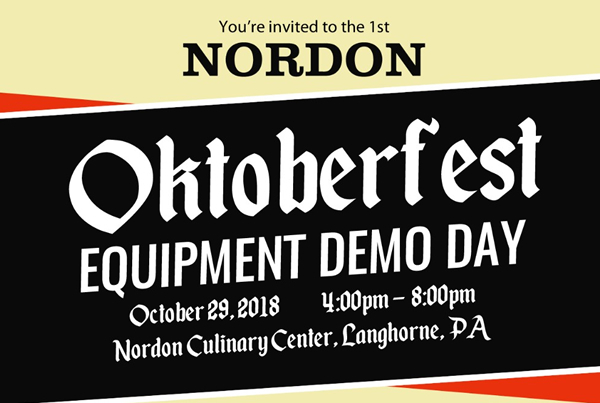 This is an equipment demo and networking event where we’ll be cooking up pizza, brats, soft pretzels and beer! We’ll even have a chance for you to win some great prizes like a pair of Eagles tickets or a Kegerator. Enter your business card to win one of 2 drawings for a pair of Eagles Tickets or a Kegerator!! Nordon is proud to sponsor the Pizzadelphia Fest, bringing the top pizzaiolos, culinary experts, craft beers and entertainers to the masses this summer. 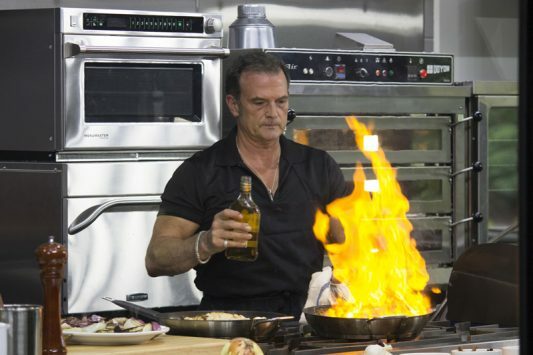 It’s an incredible festival experience for consumers, restauranteurs, industry and lifestyle brands alike. 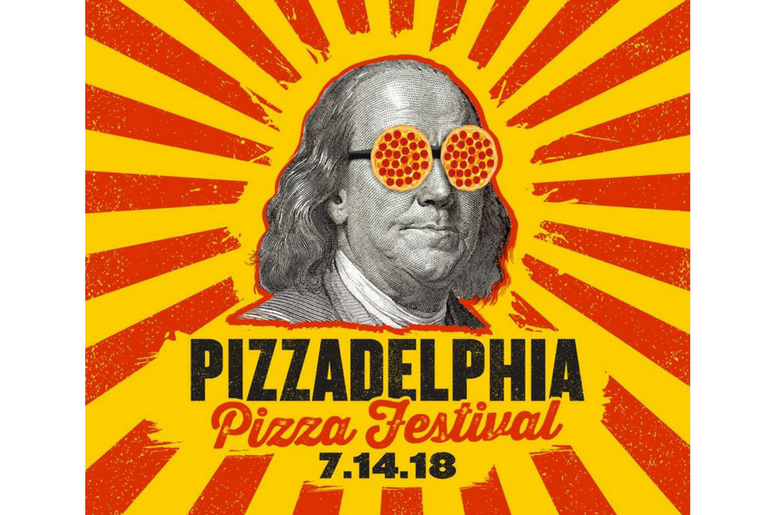 The Pizzadelphia Fest will take place on Saturday, July 14, 12 – 6pm at the Philadelphia Naval Yard and is foodie-forward, family friendly and will feature the city’s most beloved pizza brands, including your favorite local beer, local distiller, demos by local chefs, live podcasts, celebrity chef Q & As, a beer garden, DJs, games & local celebrities. 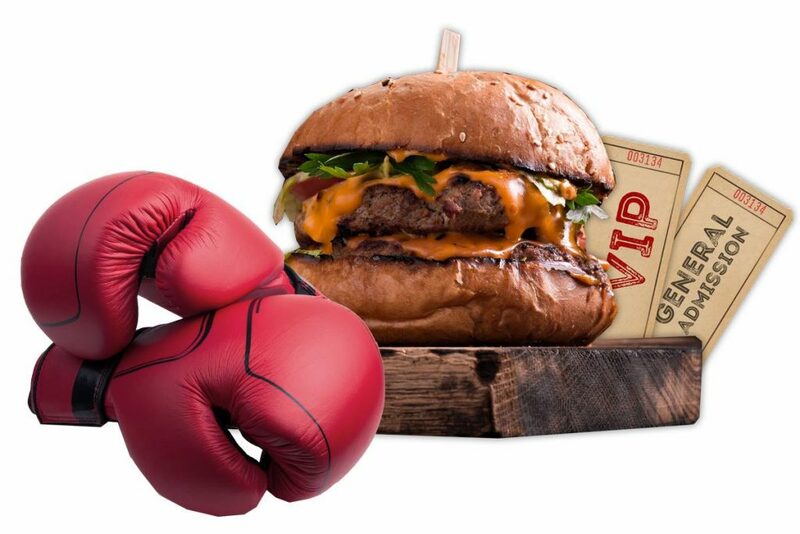 Nordon is a proud sponsor of the 2018 Philadelphia Burger Brawl on June 3rd at Xfinity Live! Philadelphia! Stop by Nordon tent near the stage for some fries to go with that burger! 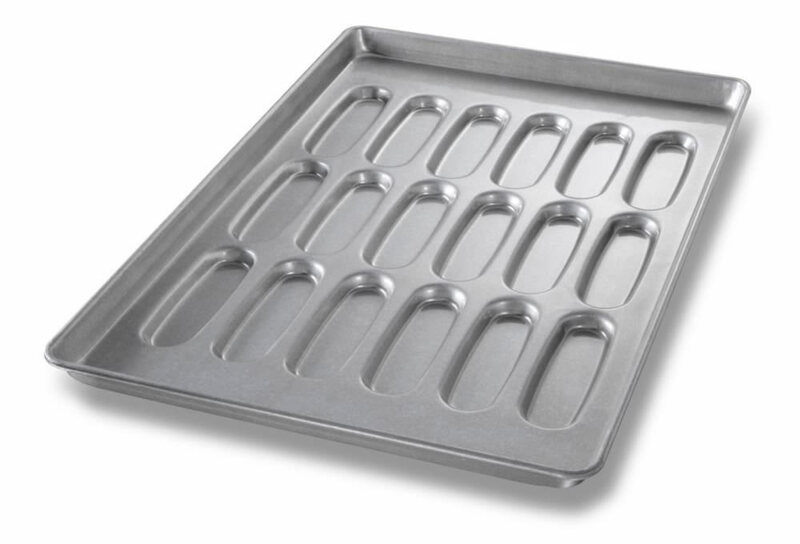 DuraShield® is a long lasting non-stick pan coating that provides unparalleled releases and increases the sanitation and safety level of your operation. 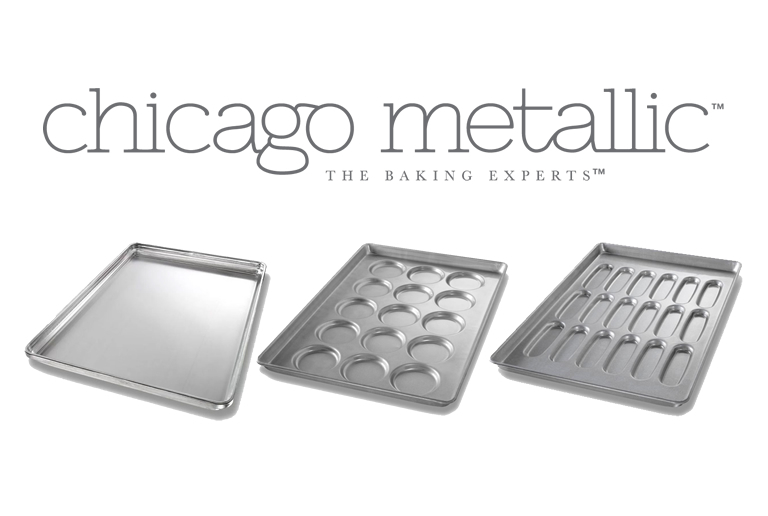 Reduced Pan Oil and Labor Costs – DuraShield® virtually eliminates the use of oils, parchment papers and non-stick mats for most bakery applications. Healthy Baking – Pans coated with DuraShield® help reduce undesirable fat content by eliminating pan oiling completely. 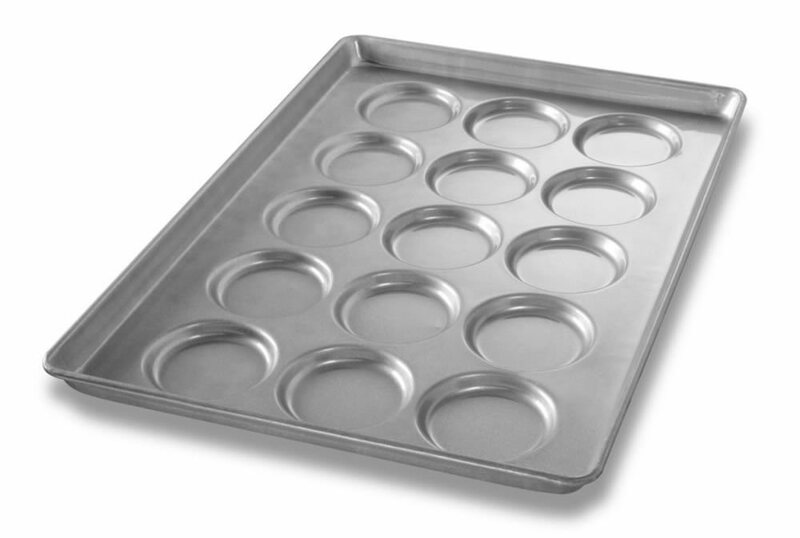 Easy Clean-up – DuraShield® coated pans clean easily and are dishwasher, pan washer and pot sink safe when dried thoroughly after each wash.
ePAN® Bun Pans are manufactured from high tensile strength aluminized steel which produces a pan that is thinner and lighter, yet substantially stronger than traditional pans. resulting in reduced energy cost. Ergonomically Sound – Lighter weight ePAN® – weighing up to 25% less than a traditional pan. Environmentally Sensible – ePAN® requires a substantially lower volume of raw material resulting in less resource consumption. Extended Pan Life – The high tensile strength of ePAN®’s aluminized steel minimizes the potential for pan damage. 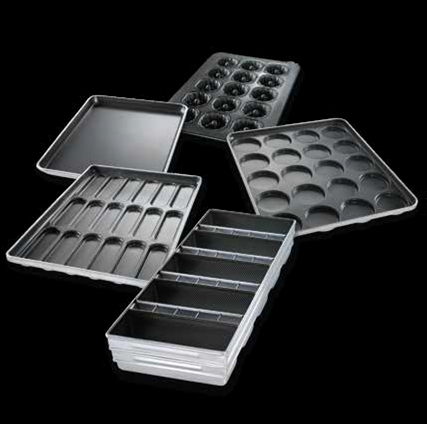 Exceptional Release Properties – We can supply ePAN® bun pans with either of our unique, proprietary AMERICOAT® Plus or DuraShield coatings… delivering hundreds, even thousands, of trouble free releases. 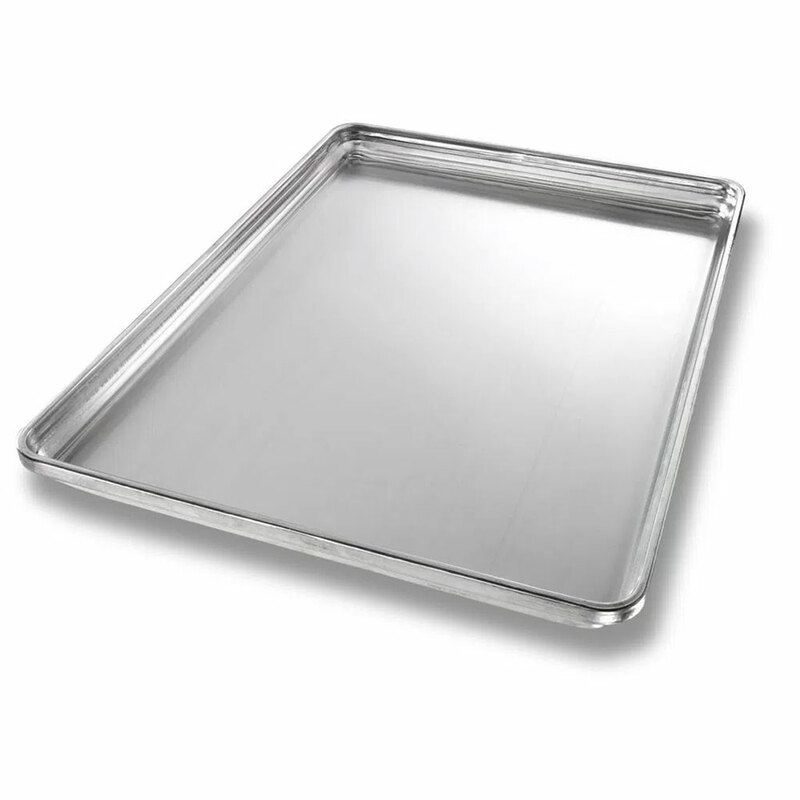 StayFlat® Sheet Pans feature sidewalls that are continuously reinforced with a horizontal engineered rib. This feature increases sidewall strength up to 30% where stronger, flatter sheet pans are required. A proprietary manufacturing method imparts a residual tensile stress in the StayFlat® pan bottom, which further increases the strength of the pan and resists damage from denting or bowing. The method used to increase tensile strength of the StayFlat® pan bottom also creates a slightly concave bottom that flattens during heating for even heat distribution and increased resistance to bowing. 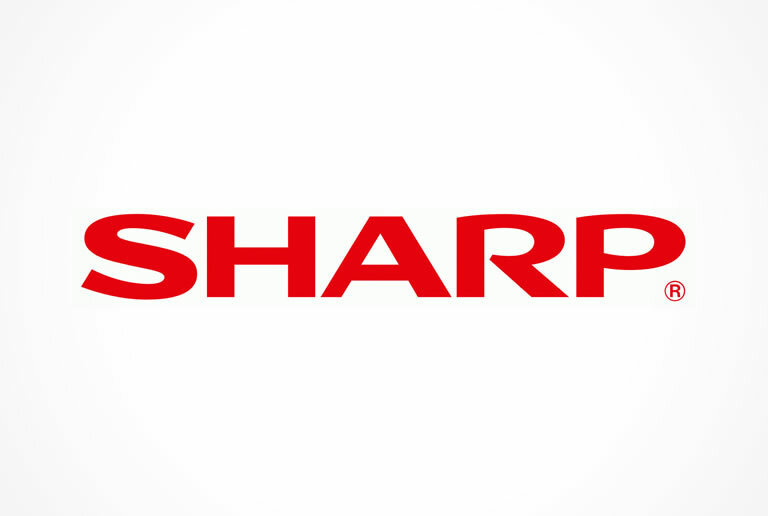 “Sharp Electronics Corporation is pleased to announce Nordon, Inc. as its newest Authorized Commercial Cooking Distributor effective November 2017 and will be distributing Sharp products with territorial coverage for New Jersey, Delaware and Pennsylvania (except west of State College and Pittsburgh). Devault is partnering with the Nordon Burger Brawl-U competition! 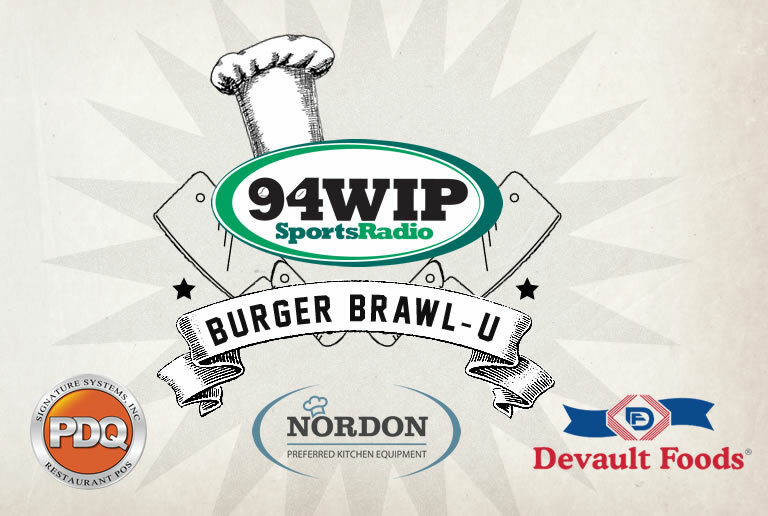 Nordon and Sports Radio 94.1 WIP are proud to be hosting the Burger Brawl U Competition on November 27 from 6-8 PM at the Nordon worldwide headquarters in Langhorne, PA. Don’t miss this knockout event! 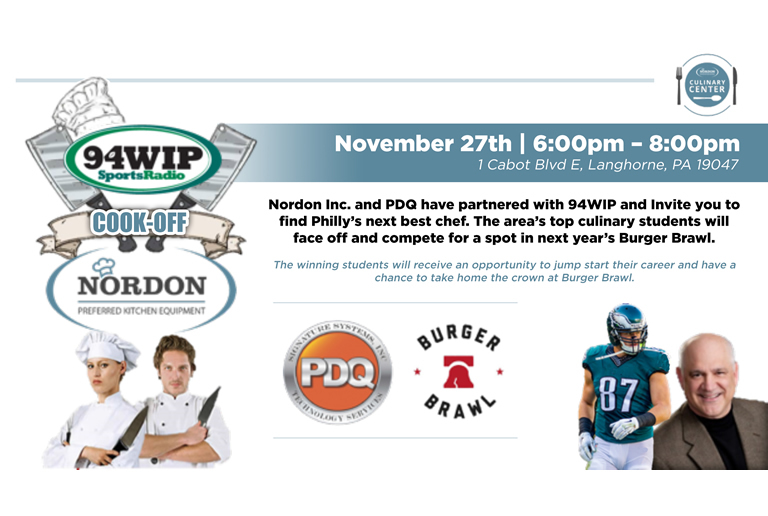 NORDON & PDQ Partner with 94.1 WIP for Student Cook-Off! 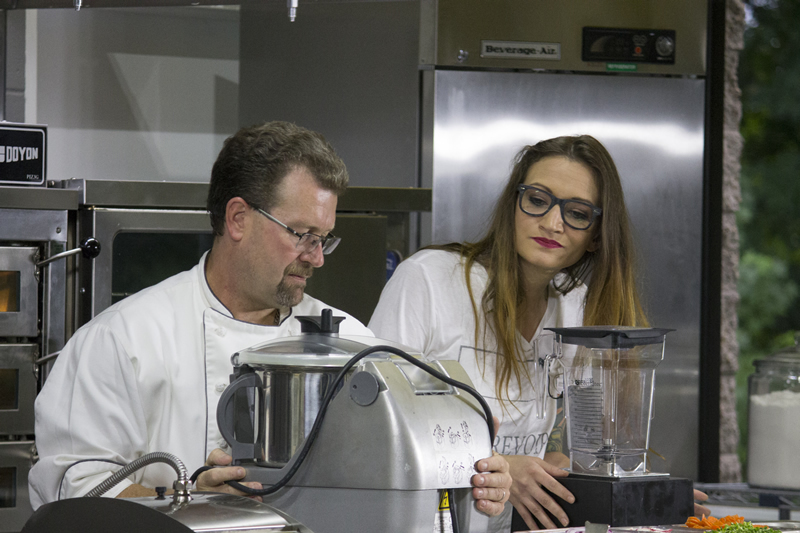 Nordon and Sports Radio 94.1 WIP are looking for Culinary or HRIM programs to compete on November 27 from 6-8PM at the Nordon worldwide headquarters in Langhorne, PA. 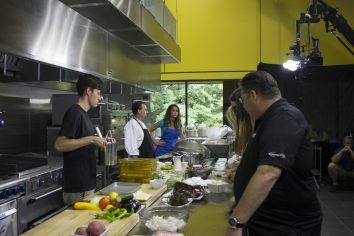 The winning program will get a spot to compete at Burger Brawl among other prizes. Message us if you have interest! 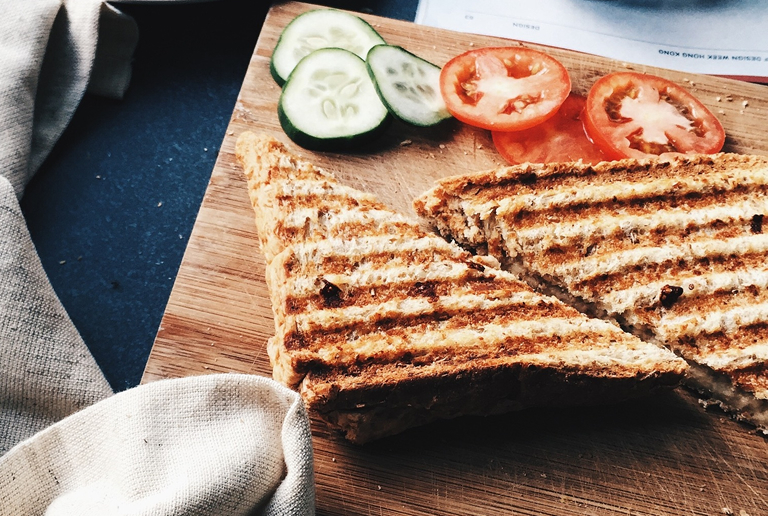 Since August is National Sandwich Month, the timing is right to explore some creativity into your menu lineups! Check out these 12 new recipes that inject some creativity and speed into the multi-purpose use of the SpeeDelight high speed cooking unit. 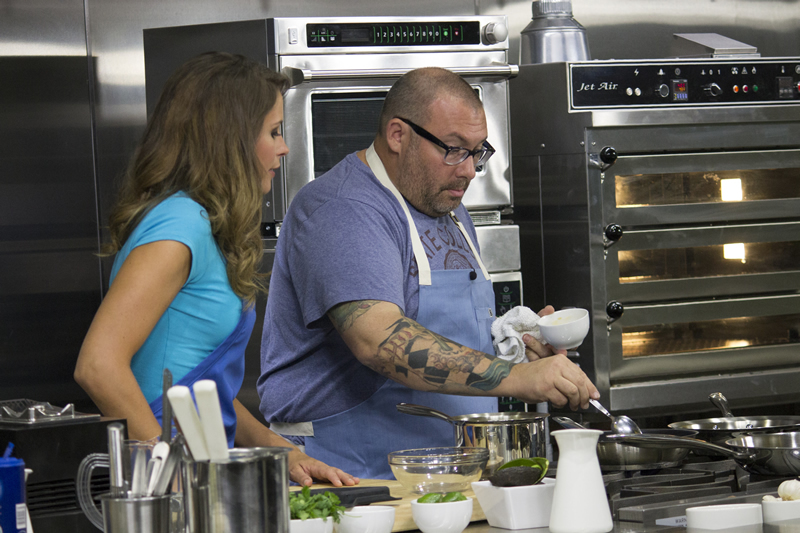 New flavors, new ingredients with a twist—small tweaks that make a big difference! Check out the Electrolux SpeeDelight for 12 recipes for breakfast, lunch, dinner and snacks!